Impacts of Moon in 12 houses of kundli, Learn About Moon, know about the effects of Moon/Chandrama in 12 houses of horoscope, Free Moon Astrology tutorial, how Moon/Chandrama puts impacts in our life, astrologer for horoscope reading and astrology tips for successful life. In vedic astrology Moon represent Mother and water related area. So by studying the Moon power and position in horoscope it is possible to know about them. It also give benefits in travelling. As we all know that Moon changes its shape and light in every 15 days and so the person also feels the changes in life if Moon represents lagna or is the master of zodiac in horoscope. Chandrama is exalted or uchh in Taurus and Debilitated/neech in Scorpio and so as the person feels the impacts in life. When Moon gets debilitated then person faces health problems, relations with mother affected, thinking power is also affected badly and so on. In Ist house if this planet is good and having good power then the person is lucky in terms of travelling, wealth, living a luxury life etc. In case if it is weak then the person faces problems in taking good decision, person is also not able to use his or her mind at best level, dilemma in mind disturbs, In case if Moon is malefic then person faces problems in health, fickle mind creates problems in life and so on. This is a profit place and due to this if good moon is present here then person becomes healthy, wealthy and prosperous, This type of person also gets benefited from any water sources and business related to this. It is also seen that person gets benefits from the in-laws side and good relations always helps the person. In case of weak and malefic Moon in 2nd house of kundli person faces debt problems, savings problems etc. Since it is a strength house so positive chandrama at this place makes the person sacred, hard worker, this moon also helps to maintain good relations with brothers and sisters, person also get benefits from the brothers and sisters. This moon in 3rd house gives the person opportunity to use the powers at best level. But in case of weak or malefic chandrama results may gets negative and less. The house of mother, luxury and happiness. So if a person is lucky then positive and powerful Moon resides in this house and gives the person happiness of a successful life with luxury, property, vehicle etc. In case of weak and malefic Moon in fourth house, mother health is affected, lack of luxuries also creates problems in life etc. This is a place of luck, progeny, education etc so person is blessed with female baby if Moon is powerful here, Person is also intelligent and gain knowledge of different fields, travelling is also a part of life. In case of malefic Moon in Fifth house of kundli person suffers from different types of problems like as obstacles in studies, child health, struggle in attaining successful career etc. Moon in Sixth house is inauspicious and disturbs the life in many ways like as health issues arises suddenly, relations with mothers affected, hidden enemies problems etc. So it is good to follow remedies if life is getting disturbed due to this. This is the partnership place, marriage place and so male gets beautiful wife and female gets handsome husband if the moon is powerful here. This type of person is a good relationship maker and so get success in brokerage work, consulting work etc. If Chandra resides with malefic planets here then unwanted incidents takes place is life. This is the house of death, age, health, diseases etc so all these subjects are affected by positive and negative moon. Malefic Chandra gives arises to venereal diseases and also affect the age of person. Digestion problems also affects the life. Where as good and powerful Moon makes the life happier with good health. The house of destiny/fate/Bhaagya. So here the chandra makes the person spiritual and this type of person become ideal of many ones and also the is a good motivator, guide. If this type of person visit any temple regularly then luck enhances automatically. Luck always favors the person and also this type of person is helpful for the society. This is the working place or karm isthaan and due to this person makes career in any type of in-stable work. Travelling becomes the part of life. Person gets success in in-stable work. In case of malefic moon person suffers a lot in life, debt problems, financial problems, instability in job and business moves around. This is the income place and so if this house is powerd by Moon then person is able to earn from travelling to foreign or in travelling type of work. although instability is the part of life. In case of malefic Moon her person faces problems in increasing the income sources. This is the expenses place and here positive moon helps the person to become a social worker who spend in helping others and spiritual activities while malefic chandra leads to spend in unwanted activities or antisocial activities. Eye sight also gets affected due to this. So above we have seen some impacts of Moon in our life also I want to clear that this is a very sensitive planet and so with different planets it generates different types of results. 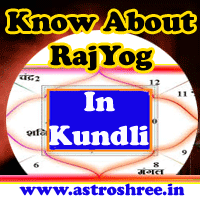 If you want proper analysis of your kundli and want to know the powers and weak points of your horoscope then you are welcome in the world of astrology. Contact astrologer now on line to consult. How to reduce ill effects of moon through astrology?